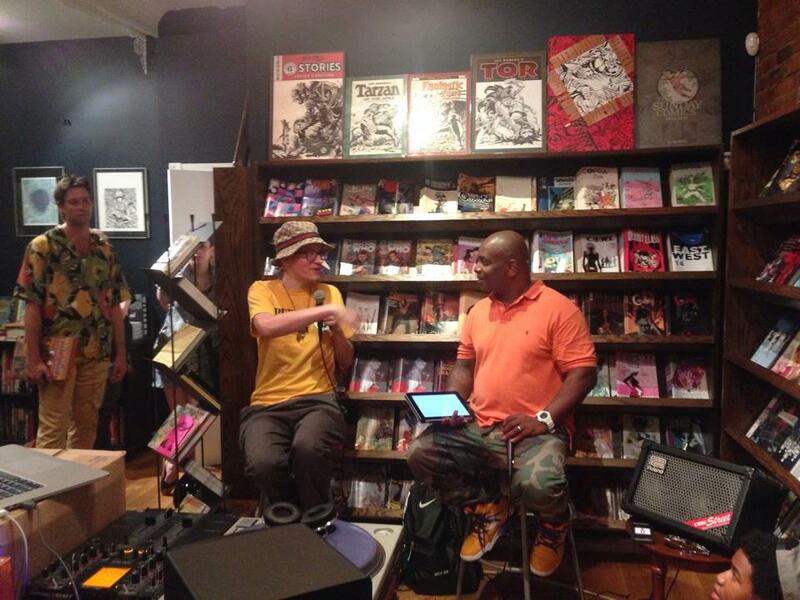 My pal Bedos was over in New York last week and managed to catch Ed Piskor as he launched Volume 2 at Brooklyn’s Bergen Street Comics. The success of Volume One has been phenomenal and Ed’s online presence continues to be excitable, humble and hella authoritative. Everyone from Def Jam to De La Soul has picked up on the book, and to say Volume Two, documenting the rise of Planet Rock and hip hop’s 1981-83, is eagerly anticipated is an understatement. 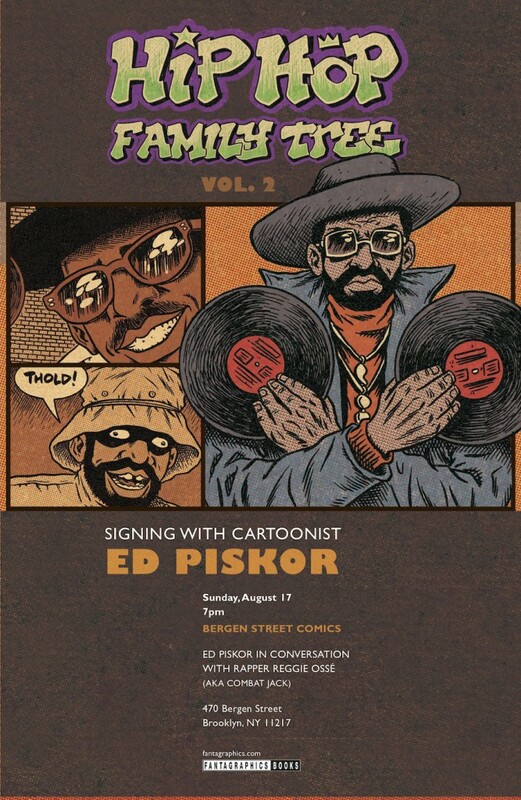 Download a PDF preview of the book from Fantagraphics here. 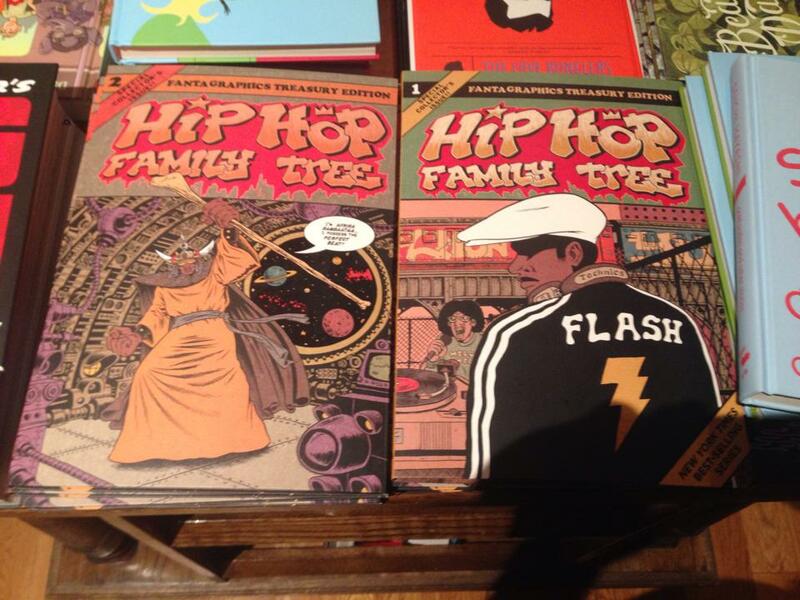 Vol 2 press release: Book 2 covers the early years of 1981-1983, when Hip Hop has made a big transition from the parks and rec rooms to downtown clubs and vinyl records. The performers make moves to separate themselves from the paying customers by dressing more and more flamboyantly until a young group called RUN-DMC comes on the scene to take things back to the streets. 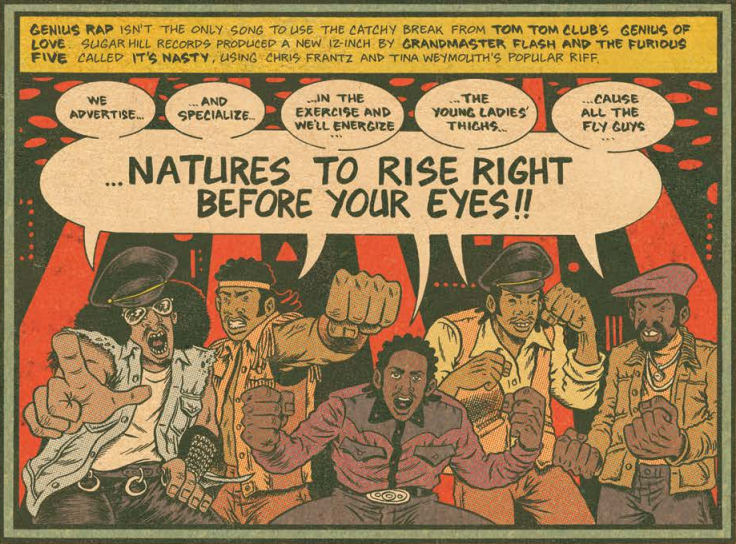 This volume covers hits like Afrika Bambaataa’s “Planet Rock,” Grandmaster Flash and the Furious Five’s “The Message,” and the movie Wild Style, and introduces superstars like NWA, The Beastie Boys, Doug E Fresh, KRS One, ICE T, and early Public Enemy. Cameos by Dolemite, LL Cool J, Notorious BIG, and New Kids on the Block(?!)! Featuring an introduction by Wild Style director Charlie Ahearn.